Objectives: Waterlogged organic artefacts can be extremely fragile, due to microbial deterioration processes (discussed in WP3). Therefore these types of remains can be challenging to excavate, support, raise and transport to conservation facilities. This is due to the inherent difficulties of working underwater (limited time and potentially harsh conditions) and in particular the crucial stage of lifting artefacts from the seabed to the surface where mechanical damage can easily occur. 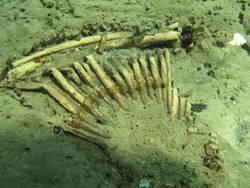 Submerged prehistoric sites, in particular, contain a wealth of the aforementioned organic materials and complex structures such as fish traps (Figure 20). 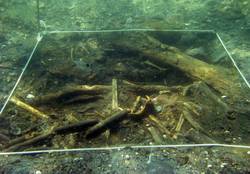 Figure 20: The remains of a fish trap in situ. • To develop and demonstrate new technologies to stabilize and consolidate fragile and complex organic archaeological on the seabed in order to facilitate their raising and transport to conservation facilities.